The hobby is changing fast these days and nothing is moving faster than the train control options. In the next couple days Bluerail Trains will begin shipping its first board, the Blue Horse. This is one of the first Bluetooth control boards for Model Trains. I am happy to say, that I am on the list for some of the first boards to be sent out. I have an E7 with battery power just waiting for this to arrive. The release comes none to soon as a number of other entrepreneurs have been trying to develop other Bluetooth control devices. Late last year there was a Kickstarter for a Bluetooth Model Train Control Module by Monocacy Trains. The kickstarter did not achieve its goal but Monocacy Trains is still out there. They have a store front which appears to be selling the boards. 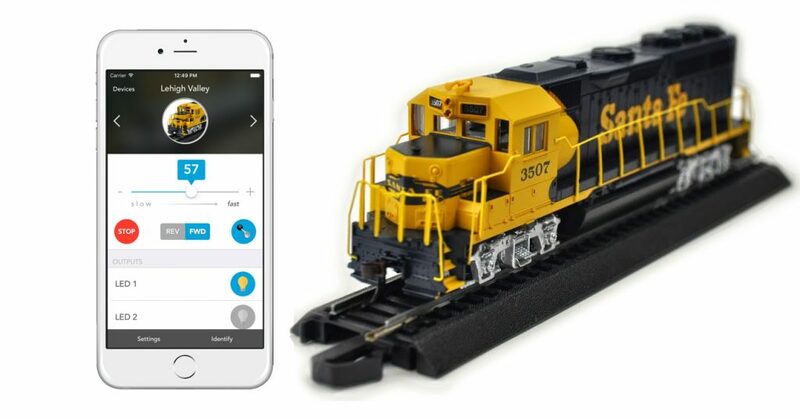 In the UK is another Bluetooth product from blueRailways. This product appears to have been available for some time. It does not appear to be a direct Bluetooth control of a locomotive, but instead communicates with a larger device which then transmits through the rail. This may work well for those who desire Bluetooth control but cannot (or do not want to) add receivers in their locomotives. Beyond these products there is a movement for an open-source Bluetooth solution. The Open-Source-Bluetooth-Train-Control Thread was started back in 2014 on Train Board and has a SourceForge site for documentation.